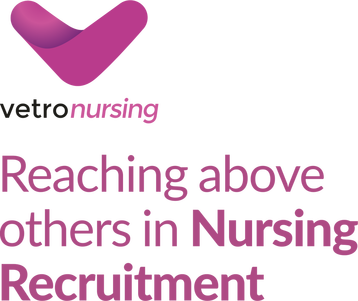 Within Vetro Nursing, we have a specialist Support Work / Health Care Assistant division that provides temporary and permanent staffing solutions to the NHS and the private sector. We find Support Workers and HCA's jobs in the NHS, Private Hospitals and Private Nursing Homes. We offer a wide range of work to suit your lifestyle. Whether you are looking for career progression, your next permanent role, a short-term contract or ad-hoc hours to fit around your family, we can help. We have clear and transparent processes in place to ensure all our clients and candidates receive professional, reliable and compliant recruitment solutions. Working with Vetro Nursing you will be supported by our Nursing Divisional Manager Sarah Campbell (RMN), and our registered Manager Julie Connick (RGN RSCN). We are always looking for hard-working, reliable and committed support workers and HCA's to join the team. We have various shifts available, full and part-time hours, Monday through to Friday, weekends and nights. Follow us on Facebook, Twitter & LinkedIn for our latest Support Work jobs, blogs & industry-specific news. Visit our blog for the latest Support Work news, views and sector updates. Full access to the website where you can update; experience, training, policies etc. Free Shift Booking app – Book shifts, Update Availability, see where you’re working. Dedicated Nursing consultants (RMN / RGN & RSCN), 24/7 support. Comprehensive Training for all Mental Health Nurses (TMVA, Manual Handling, Immediate Life Support and 22 online modules.